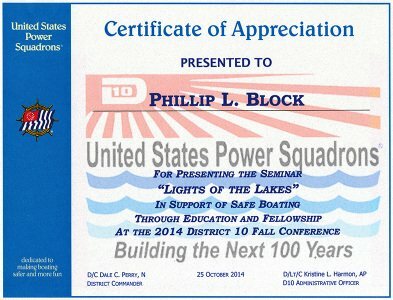 Waupun, Wisconsin was the site of the latest Lights of the Lakes presentation on Saturday, October 18, 2014. 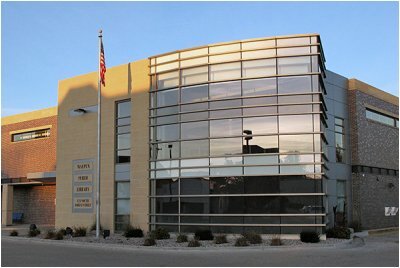 Featured as a Community Outreach event sponsored by the Waupun Historical Society, the show took place at the Waupun Public Library. It’s really nice when your clients go out of their way to thank you after you serve them. 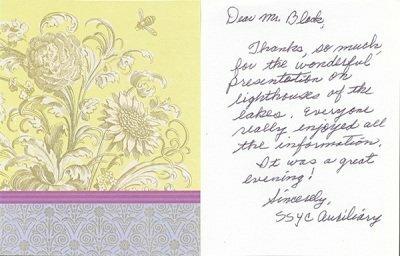 In over 25 years of doing Lights of the Lakes, I can count the number of times I’ve received cards like this on one hand. I appreciate clients like South Shore Yacht Club! 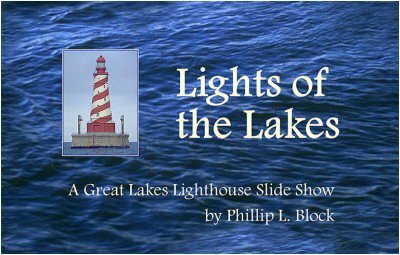 On Tuesday, October 7, 2014, Lights of the Lakes was presented at the South Shore Yacht Club in Milwaukee, Wisconsin. Around 50 people attended the show, which was sponsored by the SSYC Auxilary.